From a user's point of view, however, technology is only of marginal interest. Users want to achieve their goals and perform their task easily and efficiently, regardless of the technology used. Often they even don't even know which technology is involved – they simply don't care. Why not turn the technology-usability issue "upside down" by solving the usability issues first? As soon as we have solved these issues, we can adopt the best (or newest) technology at hand – and are possibly far ahead of the competition (at least with respect to user experience). So, what's wrong with this idea? The only issue that I can see is that we are living in a technology-centric world. We all long for the newest technology and are addicted to the lure "newer is better." This is true for all aspects of consumerism, be it cars, cameras, computers, or software applications. However, deep in our hearts, we are well aware of the fact that the lure "newer is better" is not true. Take digital cameras as an example: Manufacturers cram more and more pixels into the same sensor size, leading to increasing noise in the images, which constantly decreases image quality. But do we refuse to buy the new cams? 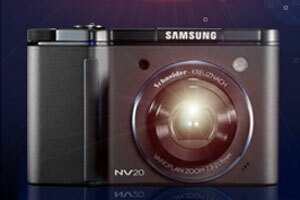 Of course not, because the new cams have so many other innovative features, too. And of course, we want to demonstrate that we can keep up with the pace of technology. 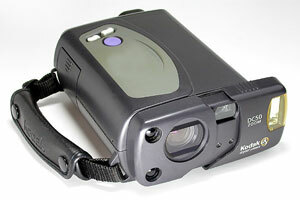 The Kodak DC50 from 1996; it "crammed"
With respect to usability or user experience, we know well that technology is not a key issue – user and usage data and the correct use cases and user roles are. Usable applications can be coded with character-based user interfaces as well, but we don't like them any more: We all prefer modern user interfaces boasting of transparency, smooth animations, and many more gimmicks. 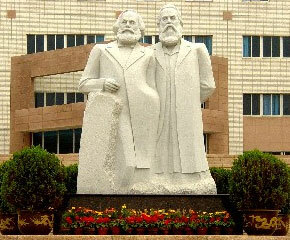 Who was right, Marx or Hegel? Probably, both were right in some respects and wrong in others. I am not a philosopher, so I will not make any comments on this matter... Who is right with respect to the technology-usability issue? Certainly, we usability people are, though not completely. But will we be able to convince the developer community and, even tougher, the business departments in our companies?